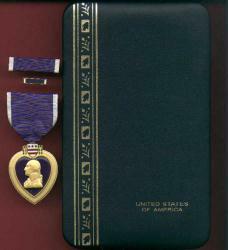 Excellent condition full size Purple Heart medal with ribbon bar and lapel pin in case. Made in the USA. Current production. Multiples available. Government orders and credit cards welcome.